M’Balia is a singer-songwriter and musician who soars across musical genres with the greatest of ease. 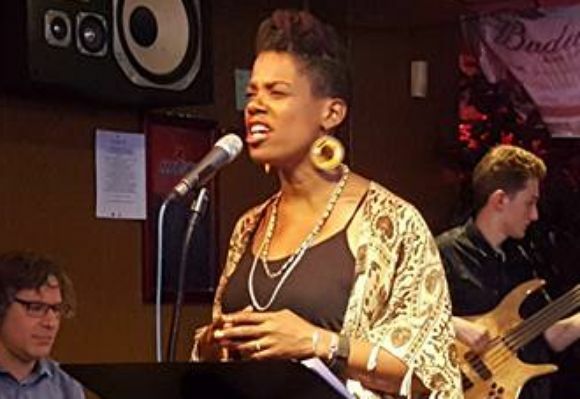 Her journey in jazz began at Yale University, when she was chosen by french horn and bassist Willie Ruff to sing with both his big band and his duo with pianist Dwike Mitchell. After dousing herself in the Great American Songbook, M'Balia moved into the world of pop, singing backing vocals on John Legend's Grammy-nominated debut album, Get Lifted. After releasing a few EP's with her rock band, M'Balia released her first jazz album of originals and standards, Halfway There, produced by the magnetic pianist, Orrin Evans, and featuring the likes of Byron Landham and Gene Jackson. In 2016, M'Balia added her vocals on Orrin Evans' #knowingishalfthebattle, which also featured the work of Kurt Rosenwinkel and Kevin Eubanks. M'Balia had the pleasure of performing and touring with rising star jazz pianist Sarah Slonim, and they worked together regularly at Smalls' late night session. M'Balia continues to write in all areas- her collaboration on the children's musical, Anansi, the Story King, premiered at the Arthur Warner Theatre at the University of California, San Diego in March 2017, and her original music can be heard in the upcoming web series, Settling Up, debuting Winter 2017.